Corn syrup, sugar, gelatin, natural flavor, colors from fruits and vegetables, pectin. 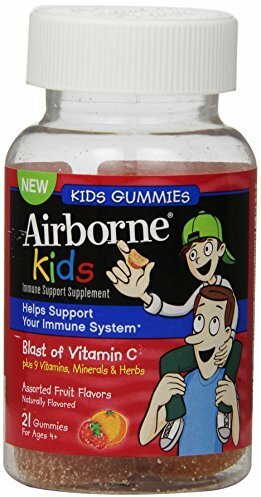 As a dietary supplement: for children 4 years and older taken two (2) gummies daily. Chew thoroughly before swallowing. Not for younger children due to the risk of choking. As a dietary supplement: Chew 3 gummies. 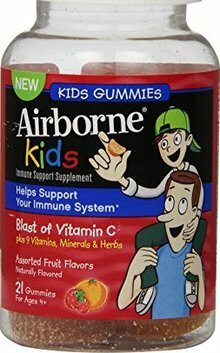 Children 12-13 years old, repeat as necessary up to 2 times per day; no more than 6 gummies per day. Adults 14 years and older, repeat as necessary up to 3 times per day; no more than 9 gummies per day. Chew thoroughly before swallowing. Not for younger children due to the risk of choking. Free Of Gluten and preservatives.